Tapioca pudding is a comfort food classic and an all-American favorite. Since it’s sugaring season in the Northest, I thought it would be nice to make a version of tapioca pudding using maple syrup. On the farm where I grew up in Vermont, my brothers still make maple syrup. The method for gathering the sap and boiling it down into syrup has changed over the years, but the result remains the same—a delicious product that has many uses beyond a sweet topping for pancakes and waffles. Try substituting maple syrup in marinades and dressings (like balsamic vinaigrette) that call for a small amount of sugar to add an extra depth of flavor. It’s also a great ingredient for experimenting with cocktails. 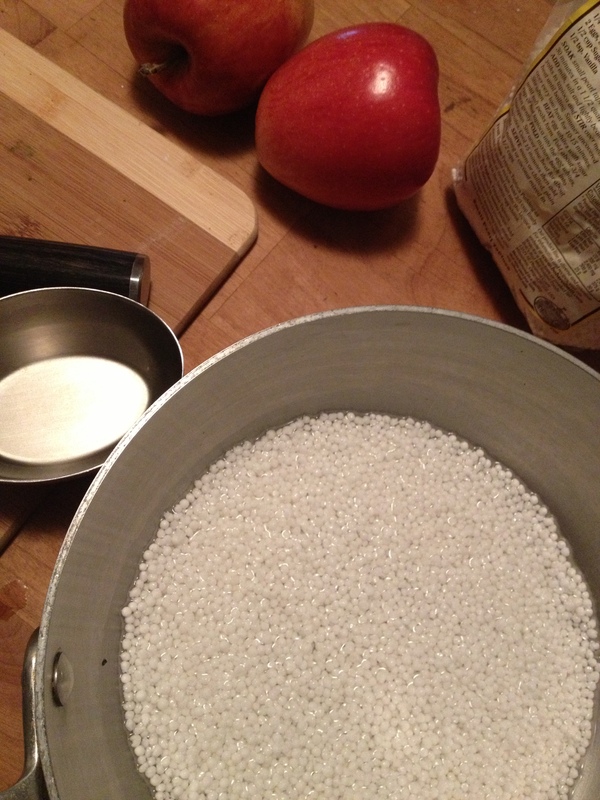 The key to making a good tapioca pudding is to cook the pearls until they’re just cooked—not crunchy, but also not mushy and falling apart. Soaking the pearls in water before cooking helps to achieve the perfect texture, and it shortens the cooking time. Place tapioca and water in medium sized heavy bottomed pan. Let tapioca soak for 30 minutes. Meanwhile, peel and core apples and cut into small dice. Melt butter in sauté pan over medium heat. Add ¼ cup syrup and bring to a simmer. Add apples and toss to coat. 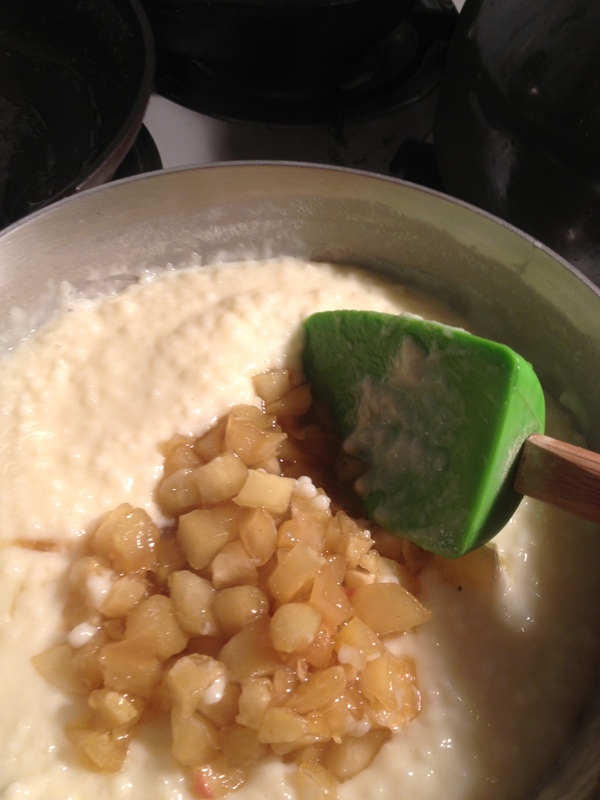 Cook for about 5 minutes or until syrup has thickened a bit and apples are just beginning to soften. Add milk and egg to tapioca, and bring to a boil over medium heat. Reduce to a low simmer and cook until tapioca pearls are completely opaque and have lost all of their crunch, but still hold their shape. 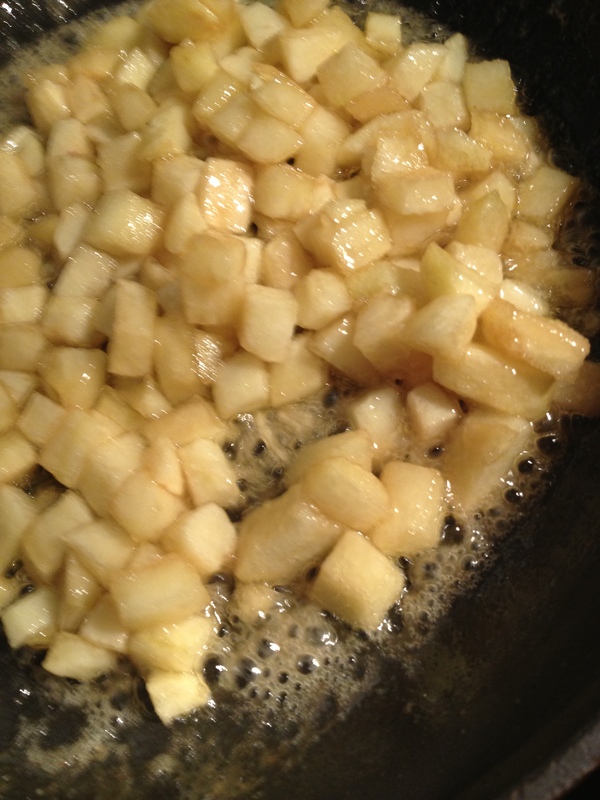 Add apples, remaining ¼ cup syrup and cinnamon and stir to combine. If too thick, add a bit more milk or water. Serve warm, at room temperature or cooled. Posted on March 26, 2013, in comfort food, dessert, food, recipes and tagged apples, comfort food, dessert, maple syrup, pudding, tapioca. Bookmark the permalink. Leave a comment.